Edmonton’s smelliest neighbourhoods may be suffering for several more years as the city finalizes a plan to fix the odour problem. Residents in Edmonton's smelliest neighbourhoods may suffer for several more years as the city inches toward a plan to fix the odour problem. EPCOR told city council's utility committee on Thursday it could take 25 years to deal with the problem city wide, but the worst areas could see relief within nine. The plan was presented to the committee in April, but this time councillors expressed the need for expediency. "People cannot go in their backyards in the summertime," said Coun. Michael Walters. "We've worked on it for years and years and years, but those problems need to be addressed not over a 25-year period but today." Coun. Aaron Paquette agreed the city should adopt a more aggressive timeline to fix the hardest hit neighbourhoods. "They don't want to wait a decade or 25 years, like a full generation, to get this handled for them," he said. "A baby born today could be a homeowner by the time we get this done." EPCOR presented six scenarios to committee, including 10-, 20- and 25-year timeframes based on a systematic approach that would give no preference to any particular spot in the city. The other three scenarios would give priority to areas with concentrated odours, mainly on the south side of the city and including Bonnie Doon and Steinhauer. Richard Brown, director of drainage planning and engineering at EPCOR, said the worst spots would still take nine to 11 years. "That's for a complete fix," Brown said. "It's because of the complicated nature of what we're trying to fix." Coun. Ben Henderson described Bonnie Doon as an innocent bystander impacted by sewer and water drainage problems from suburbs in the south. "That's getting worse, not better, because more people are living upstream," Henderson said. "The thought of asking them to wait another 20 years for a problem that we probably should have dealt with 20 years ago doesn't play for me." Brown said a number of factors contribute to odour, including old infrastructure. But gas in the pipes is the main problem. "It's trying to escape, it's trying to get out," he said. "Hydrogen sulphide trying to get out of the system is what's causing the odour issues above ground." He said EPCOR's mitigation plan looks at ways to reduce gas and regulate how it's released. In London, for example, vent stacks placed at certain intervals release air at higher elevations, he said. The 25-year scenario, targeting the worst spots first, is estimated to cost $460 million. 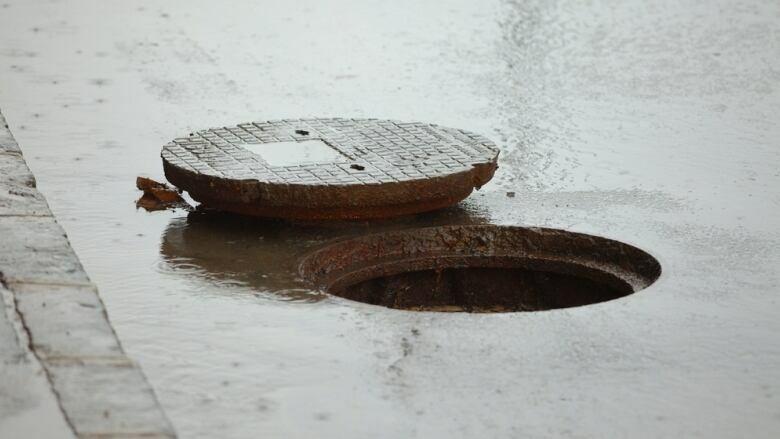 Walters said work is ongoing to mitigate odours, such as fixing the Twin Brooks pump station, scrubbing, maintaining manholes and venting upstream. "I talk about the Steinhauer stench — that's not $460 million and that's not 25 years," he said. "My objective is to get the people of Steinhauer and Bonnie Doon into their backyards, like I get to enjoy my backyard in the summer, as soon as possible." The utility committee asked EPCOR to compile a detailed business plan with a priority list of the 157 neighbourhoods that need work. EPCOR is expected to report back to city council's utility committee in the spring.